A guided walk in the White Peak area as part of a small group of no more than six people plus your friendly, professional walk leader. Throughout the walk your guide will 'bring the countryside to life' by sharing with you a wealth of local knowledge. From the pretty village of Ashford-in-the-Water, we follow footpaths through meadows to the popular beauty spot of Monsal Head for fine views of the famous stone viaduct crossing the valley. 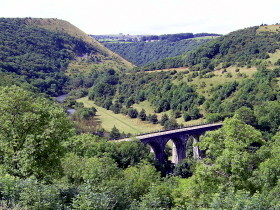 We walk down the hill onto the viaduct and then along Monsal Dale and eventually into Deepdale, designated as a Site of Special Scientific Interest for its wealth of wild flowers. 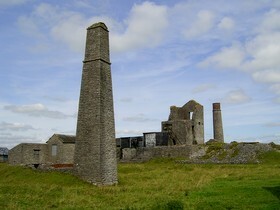 We then visit a historic lead mine high on the hills above the Wye Valley and learn about one of the Peak District most important industries in the past. 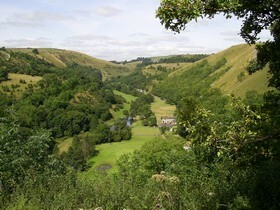 As we make our way back down the hillside towards Ashford-in-the-Water we will enjoy wonderful views of the Wye Valley. The photos here were taken in summer, but this also makes a great winter walk! The walk is about 8 miles/13km and with approx 300 metres of ascent. Paths can be muddy and slippery in places. The cost is £38 per person. Please book and pay below. You are booking with Rachel Bolton who will guide the walk on the day. We meet at 9:45am to be ready for a 10:00am start in the main public car park in the village of Ashford-in-the-Water. Post code DE45 1QG. The car park is signposted once you have turned into the village. If the car park is full, there is plenty of roadside parking available in the village. The Google map opposite that you can zoom in and out of shows the location. The following information sheet provides advice regarding what to wear and what to bring with you. 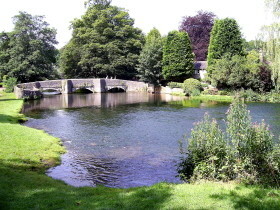 Should you wish to stay in the local area before or after this walk, the village of Ashford-in-the-Water and the town of Bakewell are nearby, Please see our accommodation page for advice. For greater flexibility, why not do this as a private guided walk on a day of your choice, either on your own or with a group of friends or family?